If you ask most alt-country fans who their favorite artist is, you’ll probably get answers ranging from the 70’s and before (Gram Parsons, Pure Prairie League, Townes Van Zandt, Steve Earle, etc.) or the 90’s and forward (Uncle Tupelo, Old 97’s, Wilco, Ryan Adams, etc.) with a startling void for the 80’s. The Jayhawks hope to remedy this situation with the re-release of their 1986 debut album, The Jayhawks. 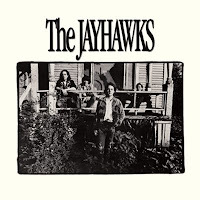 Initially released on Bunkhouse Records (causing the album to also be called The Bunkhouse Tapes or The Bunkhouse Album by most fans) The Jayhawks stands out as a strong alt-country, roots based album during a time when country music was at its shmaltziest zenith. While the albums coming out of Nashville at that time were layered with string sections and were becoming more pop-oriented, these Minnesotans were eschewing glossy production techniques, cranking up the electric guitars and singing harmonies that would’ve made The Carter Family smile. 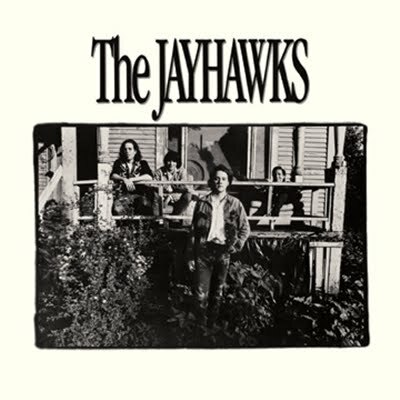 The re-release of The Jayhawks, courtesy of Lost Highway Records, is remastered from the original tapes and the warmth and spirit of the recording really comes through. This is the kind of album that really benefits from not having to be broken down into digital ones and zeroes before it hits your ears. The lead guitar lines on songs like “Falling Star” and “Tried And True Love” slide and crackle like you’re hearing them coming directly out of the guitar amp. The beautiful harmonies that are sung throughout the album are distinct enough that you can differentiate between Mark Olson and Gary Louris, the two singers/guitar players, who both having their own unique sound and delivery. Marc Perlman’s bass and Norm Rogers’s drums create a solid backbeat for these down home songs to cut loose and romp over. Lyrically, all of the standard ingredients for a good, old-fashioned country song are present. Heartache (“Let the Last Night Be The Longest” and “Good Long Time”), booze (“The Liquor Store Came First,” “Misery Tavern” and “Six Pack On The Dashboard”), prison (“Behind Bars” and “(I’m Not In) Prison”) and even a little religion (“People In This Place On Every Side” and “King of Kings”) all get their own mention throughout the album. The Jayhawks even try their hand at a little rockabilly on the infectious “Cherry Pie.” Besides their Music From The North Country compilation album in 2009, The Jayhawks have not released an album of new material since 2003’s Rainy Day Music and with no news of any end to their self-imposed hiatus, The Jayhawks reissue may have to be enough to give fans a fix for awhile. With how well this reissue was handled though, hopefully we can expect the same treatment for re-releases of their other albums.